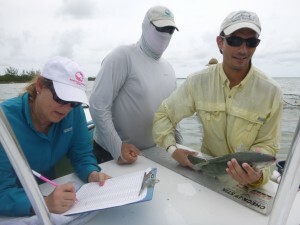 Bonefish measurements recorded in Cross Harbor. 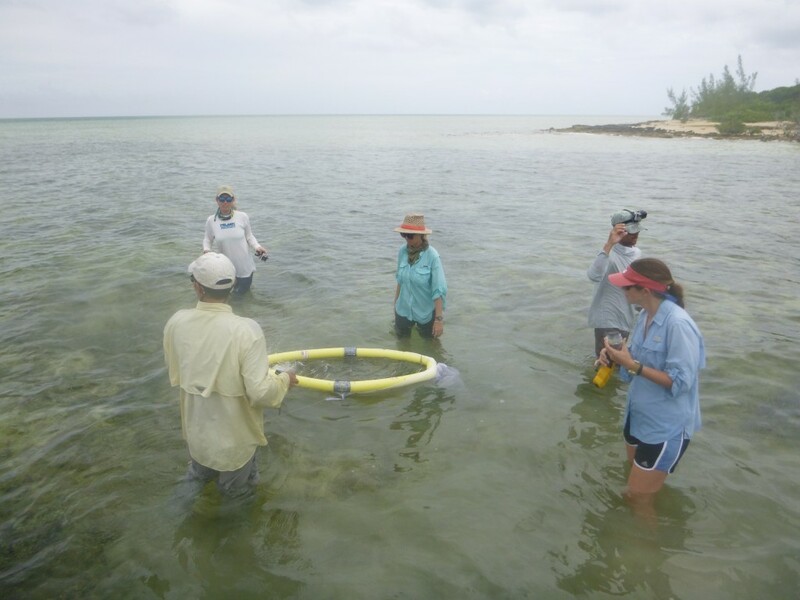 Last weekend, Bahamas National Trust (BNT) made headway in their Rapid Ecological Assessment of Cross Harbour, Abaco. This REA will gather important ecological data to help establish a baseline for long-term monitoring activities and the creation of the proposed Cross Harbour Protected Area. A group of volunteers headed out on Friday, August 20th, to tag and recapture previously tagged bonefish. Tiffany Gray, lead outdoor educator for Cape Eleuthera Institute, helped in the tagging of 199 bonefish on Friday. The rest of the tagging crew continued through Sunday with at total number of 578 bonefish tagged! Catching bonefish with nets to tag and measure.